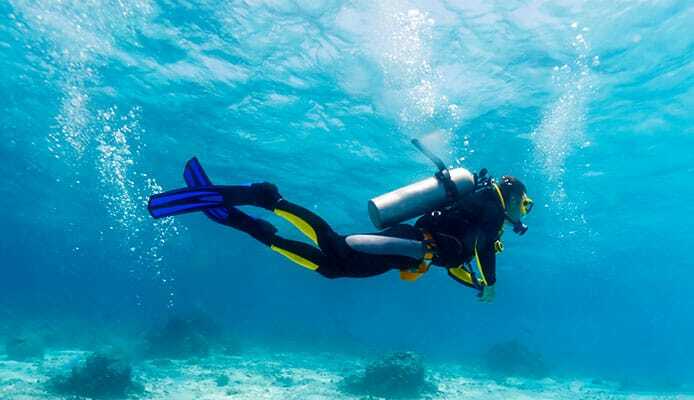 Human beings and other warm-blooded vertebrate animals have a dive response commonly known as the Mammalian Dive Reflex that protects their bodies from any hostile hypoxic effects. What this reflex does is that it conserves the oxygen stored in our bodies by ensuring that the most important organs (the heart, lungs, and brain) receive constant oxygen supply during a breath-hold and minimizes oxygen consumption in other unessential areas. Dive reflex therefore enables you to save air when diving. It begins the moment you dip your face in water and stops when your air routes are clear to breathe again. It has various stages and becomes more intense according to your physical needs. A dive reflex is totally automatic and will enable you to remain at rock bottom for minutes and still come up smiling. We are going to look at blood shift and spleen effect, as these are some of the major responses your body makes when you immerse yourself in water and hold your breath during a free dive. Pressure increases with depth, but have you ever asked yourself why this pressure never gets to squash your chest when freediving deep in the ocean? It’s true, when you descend, the air in your lungs compress, making your lungs to compress as well. In fact, at a depth of 100m, your lungs will be occupying only one-tenth of their original volume. So, why is it that your rip cage never crushes inwards despite this much empty space in your lung area? Simple answer – freediving blood shift! To know how blood shift happens, we need to understand peripheral vasoconstriction. Now, peripheral constriction is the process by which blood vessels contract to prevent blood flow to the body extremities (hands, arms, legs, and feet). Your body responds this way to save more blood and air for the high priority organs like the brain, heart, and lungs. Sure, when you don your freediving mask and wet suit, all you will be thinking about it holding your breath but evidently, so much will be happening behind the scenes. When you continue to descend, the blood that is drawn from your limbs toward the vital organs fills the empty space that was created when your lungs compressed. This process is known as blood shift. If it doesn’t occur, your lungs and chest would squash due to the increased water pressure. Blood doesn’t compress and no matter how deep you go, it will maintain its volume. Freediving blood shift is actually what saves your life during deep dives in the sea. Of course, breathing properly and having good buoyancy control will add to your safety, but blood shift plays a way bigger role in keeping you alive underwater. Did you know that our bodies technically don’t need a spleen? In fact, we can have it removed and still remain functional. Spleen shares the same functions as the liver, that is, destroying the old blood cells, so as long as your liver is healthy, your body won’t miss the spleen. However, spleen is one of the most important organs in freediving. A large volume of blood flows through this organ during blood shift, making it an effective blood reservoir. When blood shift occurs and your body demands extra blood, the spleen releases the stored blood into your veins, meaning, your circulatory system will be carrying more blood cells and hence more oxygen. Spleen effect freediving increases the length of a single breath-hold and the time you can spend underwater in one dive by distributing oxygenated blood throughout your body. Just like with other human physiological aspects like cardiovascular efficiency, body strength and flexibility, a dive reflex can be enhanced through expert training. The more you train, the more efficiently your body will be able to use oxygen. A freediving watch is an effective gadget to take underwater, as it will help you know how long you can stay down there in one breath. Elite divers are able to hold their breath underwater for up to five minutes without affecting oxygen levels and circulation in their body. The ability to breath-hold for this long, however, doesn’t happen overnight. It takes years of training under specialized instructors. Before wearing your freediving fins, mask, or any other gear and heading for water entry, make sure to stretch your intercostal muscles. This will increase your diaphragm’s strength and elasticity of your chest. Warm up in the shallow waters before descending. 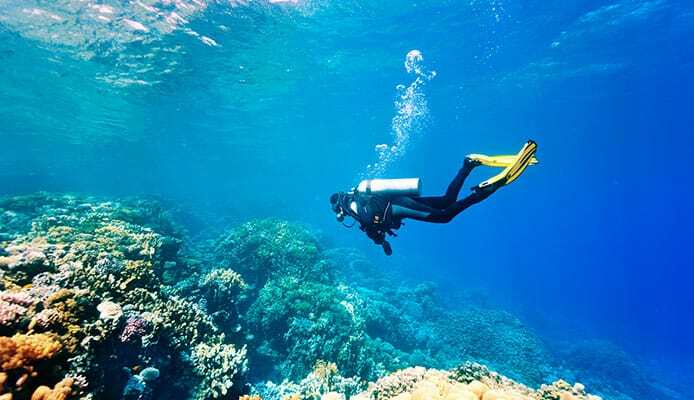 This will trigger the dive reflex and get your lungs and body ready for a deeper dive. Practice freediving at deep waters regularly. Blood shift and spleen effect freediving enables underwater enthusiasts to descend to significant depths and hold their breaths for a relatively long period in a single dive. This body response is triggered when a diver experiences increased water pressure with depth to prevent the diver’s rib cage from crushing inward. Divers can improve their freediving abilities by strengthening their mammalian dive reflex.